Hubs and I just got back from a long weekend with a family of four (two parents, one toddler, and one newborn), and it seems like those parents do little else but feed kids and change diapers. I know not all your kids are in diapers, but nevertheless, I can’t imagine doubling that amount of feeding and crying and cleaning and changing. Hats off to you, Jan. I don’t know how anyone manages four kids, whatever their gender. I come from a family of four (three boys and our Boss). I don’t know how my folks did it. I don’t know how you do it. Mostly chocolate. Lots of it. In secret. I admit, life in our house with 4 boys is a zoo. Life is crazy for me because the boys have an unquenchable energy and two are adorned with attitude to match. I usually preempt people’s comments when they ask with, “We have four boys and it keeps me busy!” I guess that’s my silent plea for a little grace when my one son in particular acts out in a big way. I am not really encouraged by comments like, “I’m glad its not me” or “You wanted four kids …” . Really, I am trying my best. I have learned take advice with a grain of salt from grandparents who live in Virginia or friends with straight A honours girls. 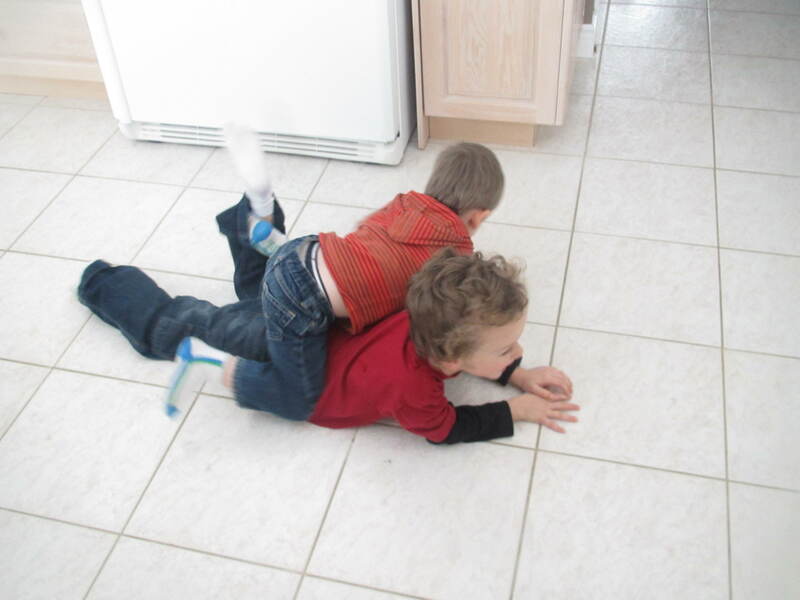 I love my boys and l am honoured God trusted me to be their mom … but life is crazy! 1)Me neither. Some days are better than others, but most are just a blur. 2)I’m pretty perfect, so 4 is not that big of a deal for me. Either one’ll shut ’em down. Wait, you have FOUR BOYS? We have met before, Michelle.